Please Note: There are two different ways to complete the next step depending on which view you are in. 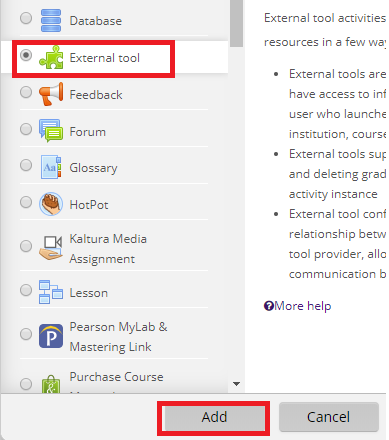 If you see two separate drop-down boxes, click Add an activity and select External Tool. For more information about this option, view Activity Chooser Option. 4. Select External Tool and click Add. 5. 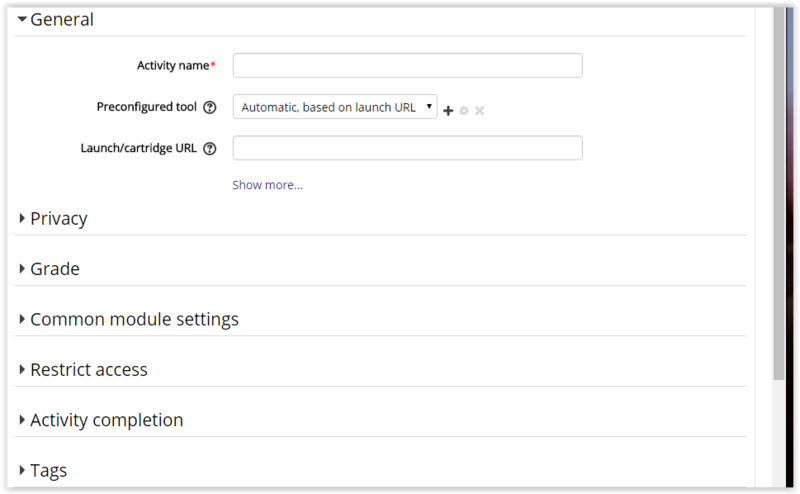 Select the External Tool that you want to use, then fill in the Activity Name.